If it isn’t enough having to deal with heavy floodwaters and the turnaround of Hurricane Florence this past September, North Carolinian’s are now having to deal with giant mosquitoes. Hordes of giant mosquitoes from top to bottom in North Carolina along the eastern seaboard. The bugs are 3 times the size of regular mosquitoes and even look different with giant black and white-striped legs. Entomologists have studied the creatures and warned that the large pests, which are nearly the size of a penny, will bite but don’t actually contain human diseases. These mosquitoes, also known as gallinippers, probably won’t make anyone sick but could possibly carry dog earthworm. Even then, despite their enormous size chances are very low of them harming a human or animal more than a regular mosquito. 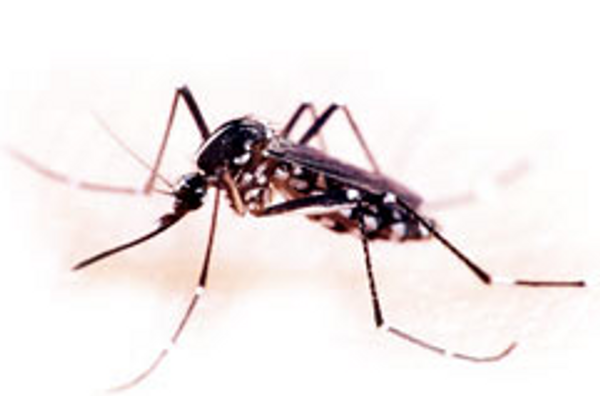 There has been raised concern for people with children especially if the kids are extra sensitive towards the bite of a mosquito. Doctors do agree it could be a public issue especially if there were dozens of bites to one individual. The entomologists also stated that personal immunities would play a role in the pain of a gallinipper bite because they tend to have larger than normal mouths. This isn’t the first time gallinippers have made an appearance in the area, the giant mosquito is actually native to the North Carolina sea board and can stretch as far as the Canadian border in southern Ontario. Due to the emergence of the Hurricane, anomalies like giant mosquitoes in huge amounts will be noticeable for people to see. There is also new concern with the development of Hurricane Michael. The newest Hurricane could cause a level of unpredictability within nature, potentially wiping out the new mosquitoes or possibly producing more. Mosquitoes thrive with standing water, the more the better and when you combine that with grassy fields, marshes and agricultural areas it becomes a massive breeding ground for gallinipper production. Most years, mosquito eggs are dried up and killed but even a few extra days of standing water can see huge increase to mosquito production. It could also be that these particular gallinippers have adapted to floods as they’ve become more common in North Carolina recent years. What is known is that preparation is key, while this particular breed of mosquito isn’t uncommon, their species hasn’t been as well-studied as regular mosquitoes. And with the emergence of another hurricane there could be another massive onset of gallinipper eggs. Experts have said they’re not 100% sure what to predict when extreme weather is in the forecast. Overall there are nearly four thousand types of mosquitoes in the world, some more dangerous than others. The 61 species that have been found in the North Carolina area are very similar and including the gallinipper excluding its sheer size. Mosquito control efforts have been put forth by the government as Gov. Roy Cooper recently allotted an additional 4 million dollars to the effort in hopes to educate and hopefully eradicate as many mosquitoes as possible.